Molaxole® powder for oral solution is indicated for the treatment of chronic constipation and the resolution of faecal impaction. 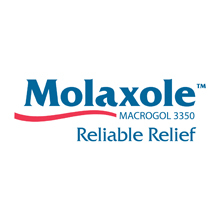 Molaxole contains polyethylene glycol 3350 (Macrocol) which binds water and increases the volume of stools, thereby normalising bowel movements. Click here to visit the Molaxole website (greek).